Usually at sunrise or just before the air is at its coldest and stillest. 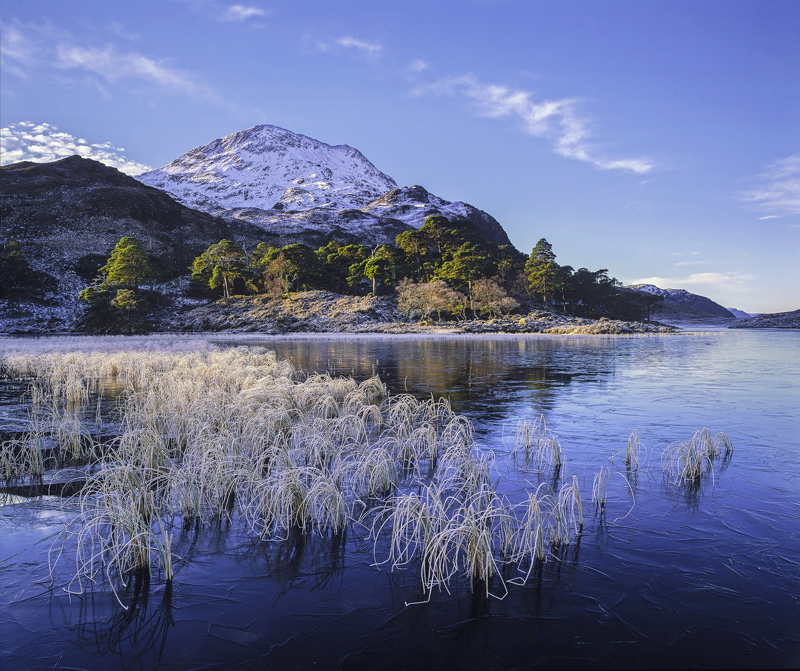 On this occasion the air seemed to be cooling down with the rising sun and the ice was spreading like a stain across the reflective darkness of Loch Clair. The reed beds already coated with hoar frost no longer dipped into freezing water but instead rested their broken stems on the ice with the last inch or so bent in the style of a stick persons foot. I waited for the light to play across the reed beds and illuminate the Scots Pine canopy to create a flash of alternative warming colour into this chilling scene.